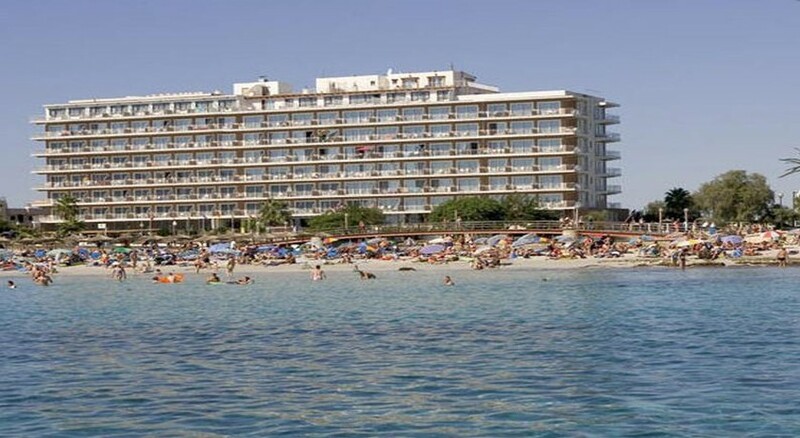 Situated in S’Illot Cala Moreia on the east coast of Majorca, Playa Moreia Apartments complex is a perfect family-friendly accommodation option right in front of a tranquil, golden sandy beach. The neighbourhood of S’Illot is a small holiday village and boasts a marina and a magnificent beach. The apartments are also in close proximity to the vibrant resort of Sa Coma. The 133 plush studios and apartments spread over seven floors can accommodate from 2 to 6 persons and provide ultimate relaxation in the lap of nature. Every room come with a TV, ceiling fan/air conditioning, private bathroom and kitchenettes with microwaves, hob, toaster and kettle. The hotel serves breakfasts at its on-site restaurant and the buffet meals feature a range of hot and cold dishes. To take care of the guests’ leisure and recreation, Playa Moreia Apartments feature outdoor swimming pool, entertainment activities for adults and kids, play area and games room. The reception desk rents bicycles and arranges for car services for airport transfers and excursions. You can explore the Caves of Drach in Porto Cristo, around 5 km from the hotel, or go up north to Cala Millor, the second largest holiday resort on the east coast of Majorca. The apartment complex of Playa Moreia is around 500 metres from the resort of Sa Coma, which is lined with shops, bars and restaurants. The caves of Drach in Porto Cristo are a 15-minute drive from the hotel, while the resort of Cala Millor is at a distance of 3 km. The hotel is 64 km from Palma and the nearest airport is Palma de Mallorca. Accommodation at Playa Moreia Apartments come in various categories – studios, one-bedroom apartments, two-bedroom apartments and superior apartments. All the accommodation types at Playa Moreia well-appointed with a living room, bed room, hairdryer, safe, satellite TV, telephone, ceiling fan and kitchenettes with cooker, fridge, microwave, electric kettle and toaster. Each of these variants has a complete bathroom and a lovely furnished terrace or balcony with sea and/or mountain view. The hotel offers breakfast every morning at the on-site restaurant and a buffet dinner is the order of every night. A cosy bar serves all kinds of drinks and cocktails. Besides, the Sa Coma town centre, which is very close to the hotel has abundant restaurants and bars that serve scrumptious meals and drinks. Playa Moreia Apartments have their own entertainment crew that takes care of daily daytime activities and evening shows as well as live performances. Kids have their own play area while there is a separate games room for virtual gamers. 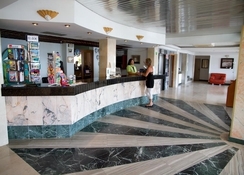 Guests can also rent a bicycle or car from the reception desk. Large swimming pools with sun terraces ensure lovely sun-soaked afternoon for the guests.